It is always sad when Mary Ann has to deal with a family in crisis. Often, it is due to some type of cognitive decline. 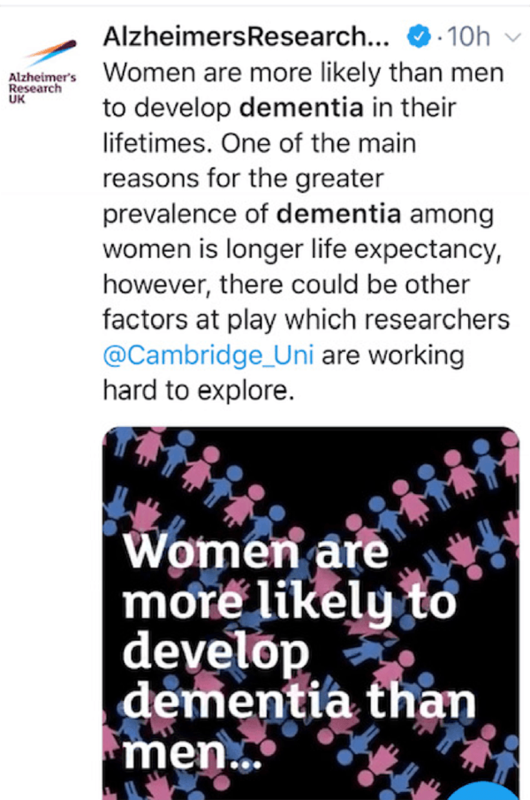 As we all get older the risk of dementia increases. Without affordable Long-Term Care Insurance the burden gets placed on family and your own assets. Like it or not, social media has become a way people of all ages communicate. In addition to news and information, people share their inner thoughts, sometimes with little filter. 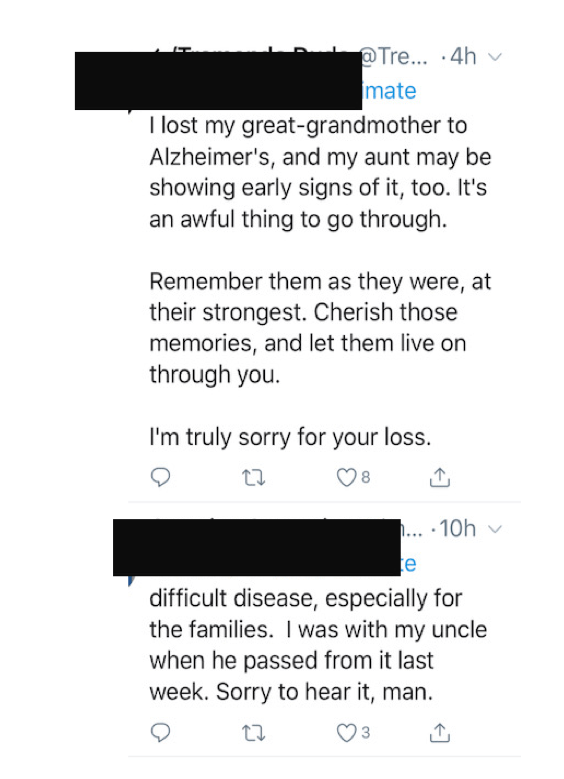 As more American family’s experience a loved one who suffers from Alzheimer’s or other forms of dementia, more and more people are becoming aware of this devastating disease. Think about it for a moment, if you are like most people you know a loved one, friend, co-worker or neighbor who is dealing with a family member who suffers from cognitive decline. 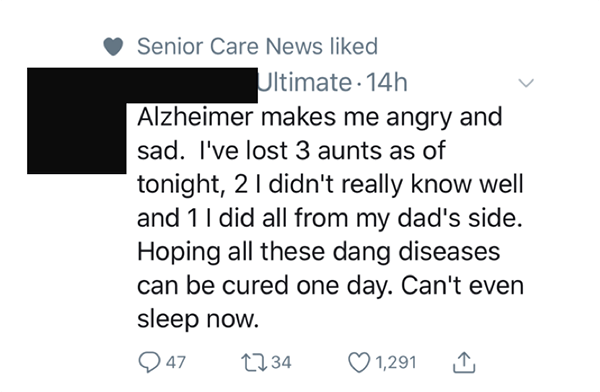 Add other issues which cause a person to require long-term care services and supports and/or supervision due to memory loss and you understand the pressure and stress many American families are going through. Genworth, one of the nation’s leading insurance companies who offer Long-Term Care Insurance products, noted that nearly half of all their claims lasting longer than one year are due to cognitive issues. The Center for Disease Control (CDC) reports that 5 million Americans were living with Alzheimer’s disease in 2014. It is expected to triple by the year 2060. 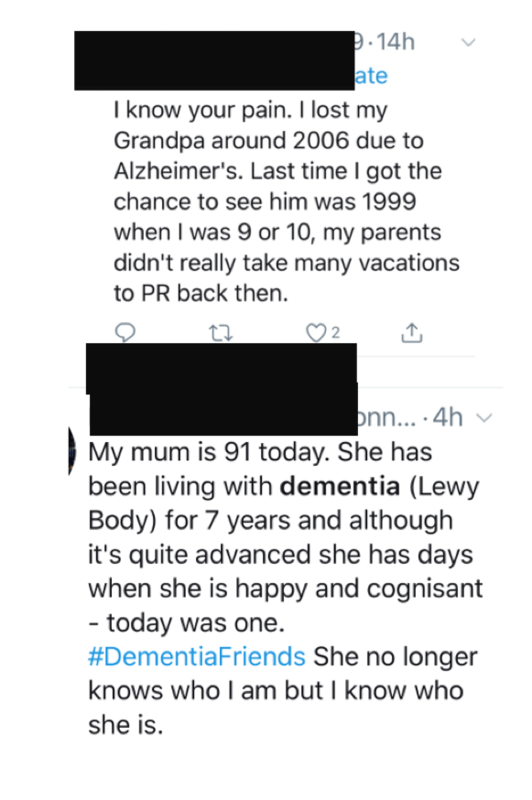 Plus, there are many other forms of dementia. One of the top 10 leading causes of death in the United States. The 6th leading cause of death among US adults. The 5th leading cause of death among adults aged 65 years or older. 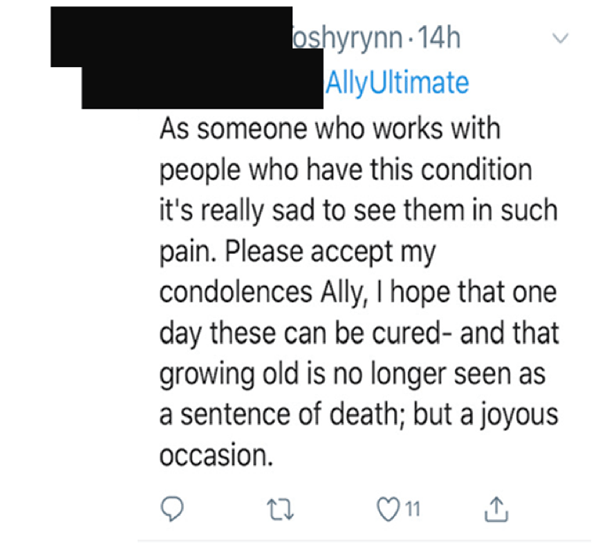 Social media is reflecting this and the financial costs and burdens that go with longevity, which includes cognitive declines. Not only do families have the first-hand experience with this, so do those who care for those inflicted. The Alzheimer’s Association says without some medical advance for treatment or prevention, in 2050, Alzheimer's care is expected to cost more than $1.1 trillion (in 2018 dollars). Like most long-term care situations, women are impacted more than men. Almost two-thirds of Americans who suffer from Alzheimer's are women. Women also tend to be the first caregivers for their husbands. Medicare recipients (those age 65 and older) with Alzheimer's or other dementias are more likely than those without dementia to have other chronic conditions. This means many of these individuals not only require supervision due to their memory loss but require other long-term care services to help with normal living activities. 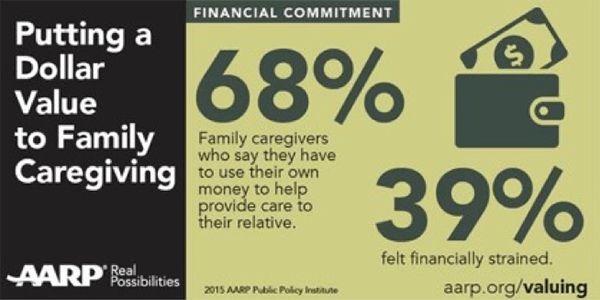 Caregiving is hard on loved ones and paid care will drain savings and investments and adversely impacting income and lifestyle. Health insurance and, for those 65 and older, Medicare (including Medicare supplements) will only pay a limited amount of skilled care. The problem is most long-term care, including supervision care due to memory loss, is custodial in nature. This means a person requires help with normal activities of daily living and/or supervision due to cognitive decline. The bottom line is you, and your family will be responsible for the care and management of the care, including paying for care either at home or a facility. Many assisted living facilities have memory care units which specialize with those suffering from Alzheimer’s or other forms of dementia. For those who have more advanced needs nursing home or memory care facilities are available. These facilities can be very costly. The national average for a skilled nursing home is running over $100,000 a year. The actual cost does vary depending on location and the number of services a person requires. The LTC NEWS MAP shows the costs of care services as well as indicating the availability partnership plans (which provide additional asset protection) and tax incentives for Long-Term Care Insurance. Click here to find your state. No matter what your situation might be it will still have a significant impact on family members. Don’t think for a second that as you get older your future health changes will not have an emotional impact on those you love. The fact is there is a physical, emotional and even financial burden that is placed on family members when you require long-term care services. The emotional part of the equation, for many, is just as hard as any financial or physical impact they experience. Without an advance plan to address longevity and long-term care, you either will pay for care out of your own savings, depend on family members (often a daughter or daughter-in-law) or both. Remember, your children have (or will have) their own careers, families, and responsibilities. Even if you have a substantial amount of savings, your future care will still need to be managed. One of your children will decide which account to liquidate and the type and quality of care you will receive. The AARP says, in addition to physical and emotional pressure, your family will often feel a financial strain. Experts suggest planning well before retirement. Long-Term Care Insurance provides tax-free resources to pay for your choice of quality care in the setting you desire. In addition, most policies will pay for professional case management. These case managers will make recommendations and arrangements for care and design a plan of care which you and your family approve. This gives your family the gift of time … time to just be family without the strain and pressure of either being a caregiver or managing your plan of care. This means these will have much better memories of you and their future social media posts will be more reflective of the positive and not just the negative. There are several types of Long-Term Care Insurance plans which are available to consumers. A qualified experienced Long-Term Care specialist can help design an appropriate plan based on your individual situation. However, according to the American Association for Long-Term Care Insurance, few general insurance agents or financial advisors have this type of experience. So be sure you seek a true specialist to provide you with the best options from a variety of top companies. You can find a Long-Term Care specialist by clicking here. These policies are very affordable, especially if you are in good health and plan before you retire. Don’t ignore the risk. Remember, the chance of you living beyond age 75 is very high. More people are living beyond 80. The longer you live the greater the risk. The US Department of Health and Human Services says if you reach the age of 65 you have a seven in ten chance of needing some type of long-term care service. A significant amount of younger people today need long-term care services as well. Make long-term care planning an important part of your overall retirement plan. Then you can tweet to the world that you and your family will enjoy peace-of-mind. You can’t prevent getting older and need extended care. You can make it much easier on those you love.